SIZE: 1 1/2" x 3/4" including bail. Size without bail: 1 1/4". Stamped 925 sterling silver. 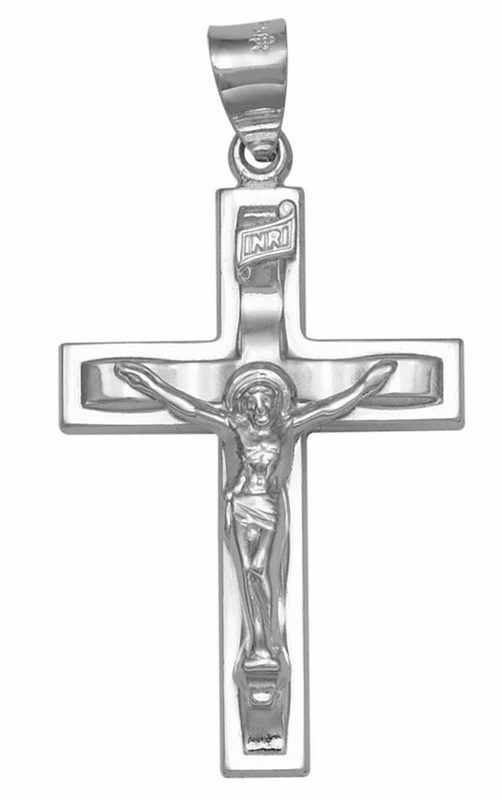 Product: Sterling Silver Cross with Corpus Crucifix, Rhodium Finish, 1 1/4"